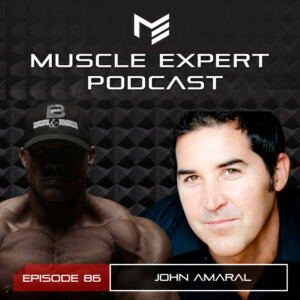 John Amaral is the go to energy worker for Celebrities, Athletes, and Billionaires. 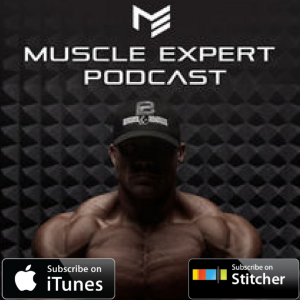 On this episode of the Muscle Expert Podcast, John and Ben introduce us to the energy that controls our existence. John gives great insight on how emotional energy can influence or even cause injuries, prohibit cellular communication, and keep you from living your greatest life. Make sure to listen to the end to catch some easy ways to take inventory of your inner body and heal past injuries. 4:30- Bridging the gap between the physical and energy world. How John Amaral found the energy world and started his career. 10:10- John’s first experience with energy work, how connecting his body and energy allowed him to truly experience his senses for the first time in years. 11:15- Measuring the energy world. Applying science to woo woo and the effect of human consciousness on the world around us. 15:10- The system of the mind and body. Examples of physical manifestations of energy. 18:30- Our body’s communication network. Can cells communicate through energy? 20:35- Breaking the patterns of old injuries. If the body replaces all of its cells every five years then why do injuries hang on? 24:50- Where to start with energy work. 28:30- A dive into energy states. Are you low energy, neutral, or an energy rich individual? 31:30- The patterns of physical manifestations of emotion. 36:30- Where to start with energy work. 38:45- How to become more aware of your mind/body connection. 44:15- Expectations of energy work. The steps to take to lead an energy rich life. 49:15- Take daily inventory of your inner body. We spend so much time taking inventory of the external, but the internal can be even more important. 51:10- Stress management. How to deal with stress and eliminate the physical effects of it. 55:20- Energy work from a distance. 1:01:04- What is next for John Amaral?